I am reading a new book containing essays by Hannah Arendt. 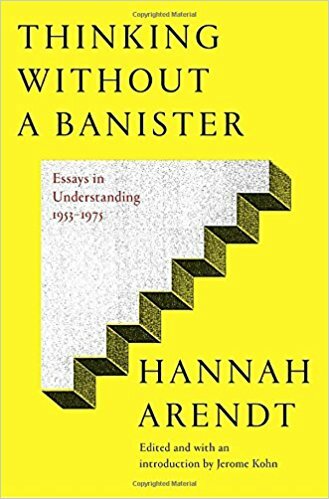 Published in 2018 by Shocken Books, this collection of essays is titled, Thinking Without A Banister: Essays in Understanding 1953-1975. Among other essays, the editor has included a "Letter To Robert M. Hutchins," who is pictured above. 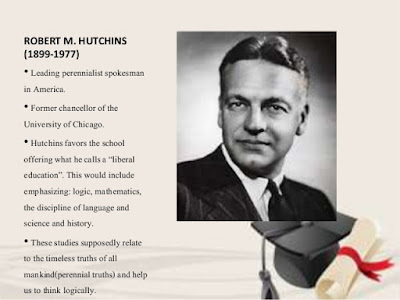 In a footnote found on the very first page of Arendt's letter, the editor has added some information about Hutchins, because not everyone reading this new collection of essays will necessarily know anything about him. The purpose of university is nothing less than to procure a moral, intellectual, and spiritual revolution throughout the world.